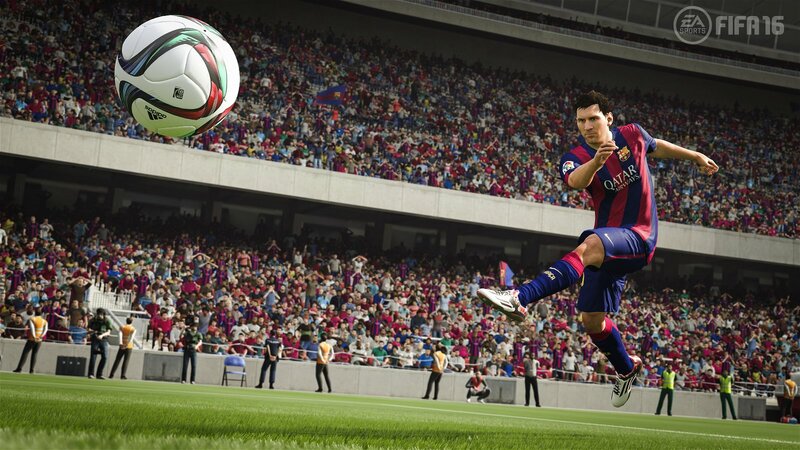 FIFA 16 is a fine soccer game, and arguably the most refined entry in this long-running series. But with only a few incremental changes and additions present, it might not be worth the $60 purchase. Every year, people always wonder about just how much EA can improve on something that’s already fantastic. Ever since the nearly flawless FIFA 12 released—which introduced a slew of dramatic gameplay changes like a new way to defend—the subsequent games have only felt slightly different. You’ll only catch a few new revisions here and there; however, it’s still always a blast to play FIFA, and it isn’t any different with this year’s entry. The terrific swift movement and speed, build-up play, shooting, dribbling, and passing all make for a great time. The inclusion of a new little mechanic called ‘Passing with Purpose’ lets you play ambitious and sharp passes, and adds a subtle-but-effective new dynamic while playing a match. The same rings true for ‘No Touch Dribbling’, which allows you to make a bunch of clever moves before actually touching the ball, deceiving the players in front of you in the process. Alongside these additions, everything else just feels and looks more smooth. FIFA 16 is pretty, with detailed player animations, authentic and accurate kits, balls, player models, and stadium recreations. The soundtrack is stellar, as well. FIFA 16 also has four brand-new teams and modes; one of which is, finally, the Women’s National Teams. For the first time in sports video game history, people can finally choose to play as female athletes. There are a total of 12 national teams to choose from and compete in Offline and Online Tournaments, Online Friendly Matches, and Match Days. Though the incredibly small number of teams is an obvious issue, it’s still an important step forward and one can only assume that future instalments will include more content. Career Mode, which hasn’t seen any improvements or add-ons for quite a while now, delivers both Pre-Season Tournaments and Player Training this time around. Unfortunately, they don’t really change or add too much. Player Training lets you set up a handful of drills for players to do in order to potentially increase their overall ratings, but the whole thing feels rather shallow. Even though you can play these drills yourself, you’ll most likely end up simming them in order to see results quickly. Pre-Season Tournaments are exactly what you think. You can compete in a few friendlies in random tournaments before a season starts that. If you win, you’ll receive an extra sum of cash you can use to spend on transfers. It isn’t anything exciting. The real draw for people is Ultimate Team; a mode that has completely taken a life of its own for a few years now. Everything that you love about is here, unchanged. Yes, you can still build your own team by competing in matches and/or spending actual money in order to acquire the best players. And yes, it’s still as addictive as ever. However, you can now participate in a new mode called FUT Draft. You can draft a team of high-quality players that you’ll use to compete in Offline or Online tournaments. They consist of four games you can win in order to receive large rewards to help support and build your actual Ultimate Team club. It’s a welcomed addition that further makes Ultimate Team the go-to mode in FIFA. FUT Draft is also another great way to win precious in-game FIFA coins and buy expensive players without actually spending real money. 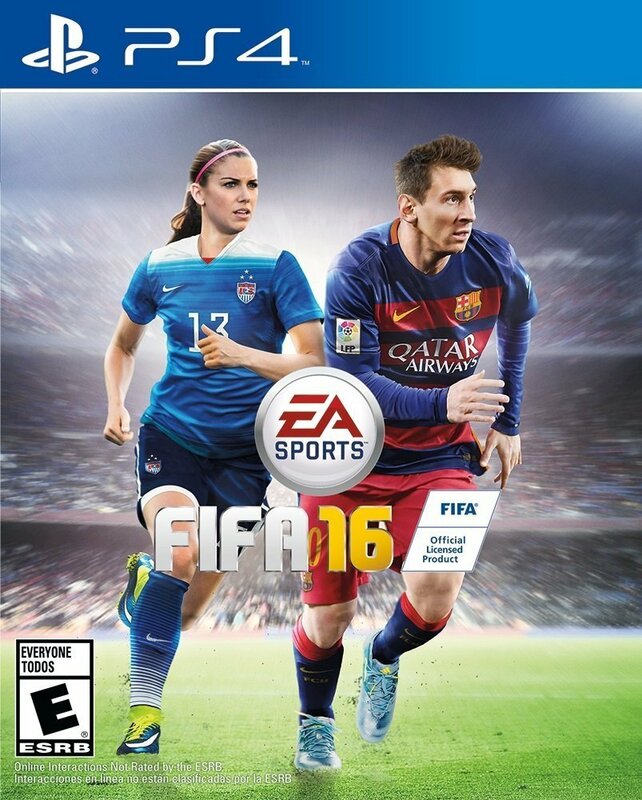 But in the end, it’s still pretty difficult to recommend FIFA 16 to anyone who already owns FIFA 15, or even FIFA 14. You just simply won’t find anything dramatic enough in this year’s entry to make it feel like a whole new experience. Which just makes you wonder when will FIFA, and sports games in general, finally become services instead of annualized products. 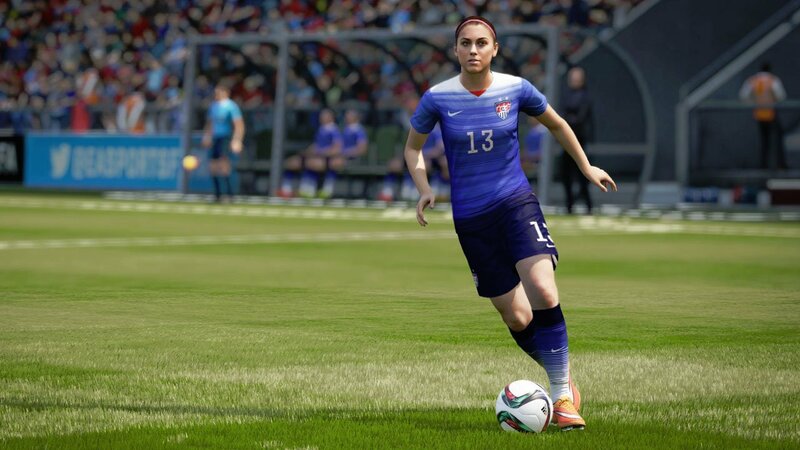 FIFA 16 also has four brand-new teams and modes; one of which is, finally, the Women’s National Teams. For the first time in sports video game history, people can finally choose to play as female athletes.